This happy little quilt was made using fabric with a large print, and half-square trianges flanked by strips of chevron fabric. All the red and white are just so sweet… perfect for Little Red Riding Hood to go on a picnic… or snuggling while reading a book! 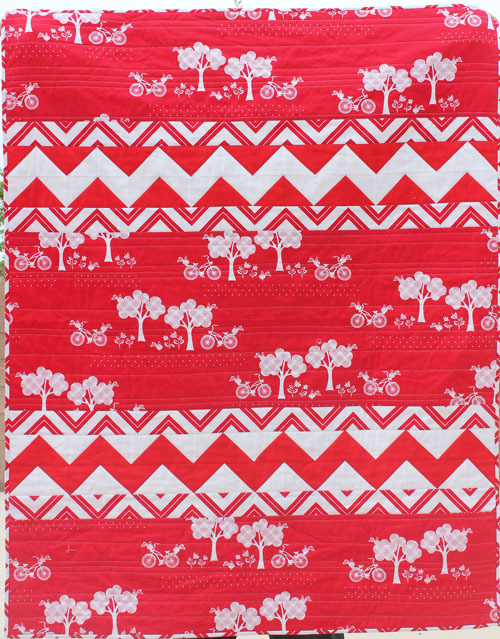 Check out the red zig zag quilt.